Full paper authors are allocated 30 mins (25 mins for their presentation + 5 mins for questions), short paper authors are allocated 20 mins (15 mins for their presentation + 5 mins for questions) and, finally, poster paper authors are allocated 10 minutes (~7 mins for their presentation + ~3 mins for questions). Workshop paper authors are allocated 30 mins (25 mins for the presentation + 5 mins for questions). Poster authors should produce their display poster in A1 size. 09:50-10:50 opening keynote - Adrian David Cheok "Multisensory Feeling Communication in the Hyperconnected Era"
Barata, G., Gama, S., Jorge, J. and Gonçalves, D. "Engaging Engineering Students with Gamification"
Guo, R. and Quarles, J. "Converting Sedentary Games to Exergames: A Case Study with a Car Racing Game"
Ribeiro, C., Antunes, T., Monteiro, M. and Pereira, J. "Serious Games in Formal Medical Education: An Experimental Study"
Dunwell, I., Lameras, P., Star, K., de Freitas, S., Petridis, P., Hendrix, M. and Arnab, S. "MeTycoon: A Game-Based Approach to Career Guidance"
Xu, F., Tian, F., Buhalis, D. and Weber, J. "Marketing tourism via electronic games: understanding the motivation of tourist players"
Feigenbaum, A. and Feigenbaum, A. "Gameful Pedagogy and Collaborative Learning: a case study of the NetsX project"
Loaiza, D., Oviedo, C., Castillo, A., Portilla, A., Linares, D.L. and Navarro Newball, A.A. "A video game prototype for speech rehabilitation"
Paraskevopoulos, I. and Tsekleves, E. "Use of Gaming Sensors and Customised ExerGames for Parkinson’s Disease Rehabilitation: A proposed Virtual Reality Framework"
Herpers, R., Scherfgen, D., Saitov, T., Felsner, S., Schaefer, M., Huelke, M. and Hofhammer, T. "VR-based Safety Evaluation of Automatically Controlled Machine Tools"
Ray Murray, P. and Mukherjee, S. "From the outside looking in: creating a serious 'art' game in India – a case study"
García, O., Labrador, E., Cubeles, A. and Fox, P. "Playing Entrepreneurship"
Seebauer, S., Berger, M., Kettl, K.-H. and Moser, M. "Green Gang vs. Captain Carbon. Integration of automated data collection and ecological footprint feedback in a smartphone based social game for carbon saving"
Pignot, E. "Is Serious Games Design Political? The Competing Logics Around the Choice of the Game Engine"
O'Connor, S., Liarokapis, L. and Peters, C. "A Study into Gauging the Perceived Realism of Agent Crowd Behaviour within a Virtual Urban City"
Dettmar, T., Seele, S., Herpers, R., Becker, P. and Bauckhage, C. "Efficient Mesoscopic Simulations for Persistent Agents in 3D-Applications and Games"
Anderson, E.F., McLoughlin, L., Watson, J., Holmes, S., Jones, P., Pallet, H. and Smith, B. "Choosing the Infrastructure for Entertainment and Serious Computer Games – a Whiteroom Benchmark for Game Engine Selection"
Parreira Duarte, R.L., El Rhalibi, A., Carter, C. and Merabti, M. "Survey and Evaluation of MPEG-4 Based 3D Character Animation Frameworks"
Alavesa, P. and Zanni, D. "Combining Storytelling Tradition and Pervasive Gaming"
Kremer, D., Schlieder, C., Feulner, B. and Ohl, U. "Spatial Choices in an Educational Geogame"
Hendrix, M., Backlund, P., Lebram, M. and Lundqvist, H. "Sharing Experiences with Serious Games, The EduGameLab rating tool for parents and teachers"
Backlund, P. and Hendrix, M. "Educational Games – Are They Worth The Effort?" Wilkinson, P. "Affective Educational Games: Utilizing Emotions in Game-Based Learning"
14:50-16:00 keynote 2 - Anthony Steed "What Will Virtual Reality Do For Games?" Liarokapis, F., Vourvopoulos, A., Ene, A. and Petridis, P. "Assessing Brain-Computer Interfaces for Controlling Serious Games"
Bass, C. and Anderson, E. "Smoke and Shadows: Rendering and Light Interaction of Smoke in Real-Time Rendered Virtual Environments"
Yildirim, M. and Tinapple, D. "AntsWorld - A Tangible Interface for an Interactive Ant Foraging Simulator"
Ferrer, V., Perdomo, A., Rashid-Ali, H., Fies, C. and Quarles, J. "How Does Usability Impact Motivation in Augmented Reality Serious Games for Education?" Seebauer, S. "Measuring climate change knowledge in a social media game with a purpose"
Tang, Y., Franzwa, C. and Johnson, A. "Serious Game Design: Motivating Students through a Balance of Fun and Learning"
15:10-16:10 closing keynote - Christopher Peters "Computational Modelling of Artificial Behaviour: A Perceptual Approach"
1) Best Full Paper Award; Barata, G., Gama, S., Jorge, J. and Gonçalves, D. "Engaging Engineering Students with Gamification"
2) Best Short Paper Award; Kremer, D., Schlieder, C., Feulner, B. and Ohl, U. "Spatial Choices in an Educational Geogame"
3) Best IEEE Member Award; Paraskevopoulos, I. and Tsekleves, E. "Use of Gaming Sensors and Customised ExerGames for Parkinson’s Disease Rehabilitation: A proposed Virtual Reality Framework"
- Ferrer, V., Perdomo, A., Rashid-Ali, H., Fies, C. and Quarles, J. "How Does Usability Impact Motivation in Augmented Reality Serious Games for Education?" - Backlund, P. and Hendrix, M. "Educational Games – Are They Worth The Effort?" - Tang, Y., Franzwa, C. and Johnson, A. 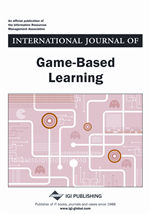 "Serious Game Design: Motivating Students through a Balance of Fun and Learning"
- Xu, F., Tian, F., Buhalis, D. and Weber, J. "Marketing tourism via electronic games: understanding the motivation of tourist players"
- Barata, G., Gama, S., Jorge, J. and Gonçalves, D. "Engaging Engineering Students with Gamification"
- Dunwell, I., Lameras, P., Star, K., de Freitas, S., Petridis, P., Hendrix, M. and Arnab, S. "MeTycoon: A Game-Based Approach to Career Guidance"
- Dettmar, T., Seele, S., Herpers, R., Becker, P. and Bauckhage, C. "Efficient Mesoscopic Simulations for Persistent Agents in 3D-Applications and Games"
- Anderson, E.F., McLoughlin, L., Watson, J., Holmes, S., Jones, P., Pallet, H. and Smith, B. "Chosing the Infrastructure for Entertainment and Serious Computer Games – a Whiteroom Benchmark for Game Engine Selection"
- Parreira Duarte, R.L., El Rhalibi, A., Carter, C. and Merabti, M. "Survey and Evaluation of MPEG-4 Based 3D Character Animation Frameworks"
- Guo, R. and Quarles, J. "Converting Sedentary Games to Exergames: A Case Study with a Car Racing Game"
- Wilkinson, P. "Affective Educational Games: Utilizing Emotions in Game-Based Learning"
- Seebauer, S. "Measuring climate change knowledge in a social media game with a purpose"
- Feigenbaum, A. and Feigenbaum, A. "Gameful Pedagogy and Collaborative Learning: a case study of the NetsX project"
- Ribeiro, C., Antunes, T., Monteiro, M. and Pereira, J. "Serious Games in Formal Medical Education: An Experimental Study"
- O'Connor, S., Liarokapis, L. and Peters, C. "A Study into Gauging the Perceived Realism of Agent Crowd Behaviour within a Virtual Urban City"
- Loaiza, D., Oviedo, C., Castillo, A., Portilla, A., Linares, D.L. and Navarro Newball, A.A. "A video game prototype for speech rehabilitation"
- Alavesa, P. and Zanni, D. "Combining Storytelling Tradition and Pervasive Gaming"
- Liarokapis, F., Vourvopoulos, A., Ene, A. and Petridis, P. "Assessing Brain-Computer Interfaces for Controlling Serious Games"
- Kremer, D., Schlieder, C., Feulner, B. and Ohl, U. "Spatial Choices in an Educational Geogame"
- Hendrix, M., Backlund, P., Lebram, M. and Lundqvist, H. "Sharing Experiences with Serious Games, The EduGameLab rating tool for parents and teachers"
- Herpers, R., Scherfgen, D., Saitov, T., Felsner, S., Schaefer, M., Huelke, M. and Hofhammer, T. "VR-based Safety Evaluation of Automatically Controlled Machine Tools"
- Bass, C. and Anderson, E. "Smoke and Shadows: Rendering and Light Interaction of Smoke in Real-Time Rendered Virtual Environments"
- Paraskevopoulos, I. and Tsekleves, E. "Use of Gaming Sensors and Customised ExerGames for Parkinson’s Disease Rehabilitation: A proposed Virtual Reality Framework"
- Yildirim, M. and Tinapple, D. "AntsWorld - A Tangible Interface for an Interactive Ant Foraging Simulator"
- Ray Murray, P. and Mukherjee, S. "From the outside looking in: creating a serious 'art' game in India – a case study"
- García, O., Labrador, E., Cubeles, A. and Fox, P. "Playing Entrepreneurship"
- Pignot, E. "Is Serious Games Design Political? The Competing Logics Around the Choice of the Game Engine"
- Seebauer, S., Berger, M., Kettl, K.-H. and Moser, M. "Green Gang vs. Captain Carbon. Integration of automated data collection and ecological footprint feedback in a smartphone based social game for carbon saving"
- Clark-Casey, J. "Transferring a Virtual Environment Client Session Between Independent OpenSimulator Installations"
- Morgado, L. "Technology Challenges of Virtual Worlds in Education & Training - Research directions"
- Cruz, G., Costa, A. and Martins, P. "Federation technology and Virtual Worlds for Learning"